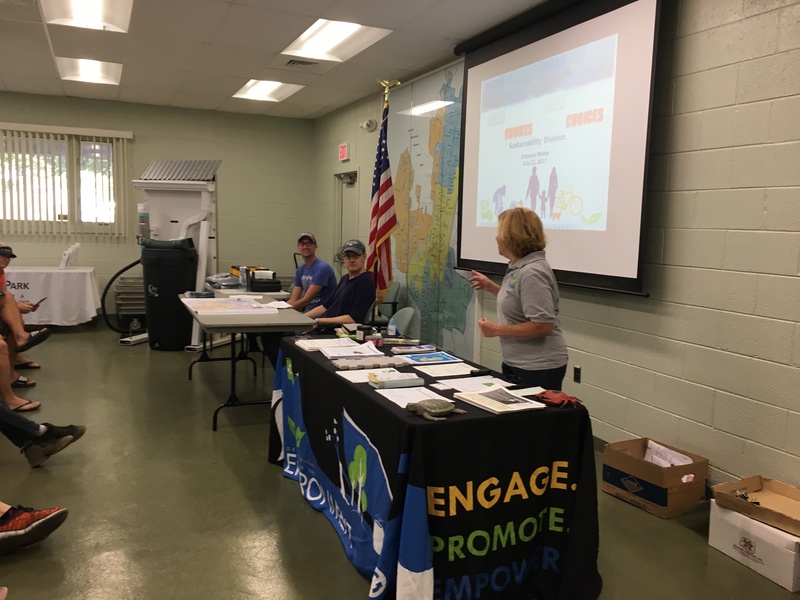 On July 22, 2017, the College Park City-University Partnership’s Sustainability Committee, together with the City of College Park’s Committee for a Better Environment, the Prince George’s County Department of the Environment, the Plumbers and Gasfitters UA Local 5 and the City of College Park hosted an event designed to inform people about rain barrels and their benefits. 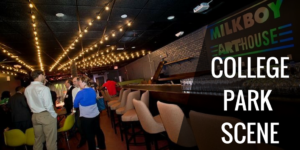 It was developed through the College Park City-University Partnership Sustainability Committee which is implementing initiatives in the Partnership’s 2017 sustainability work plan. One of the main Partnership’s Sustainability goals is to increase homeowner participation in the Prince George’s County “Rain Check” program to install environmental site design and rain barrels at homes in the City of College Park. 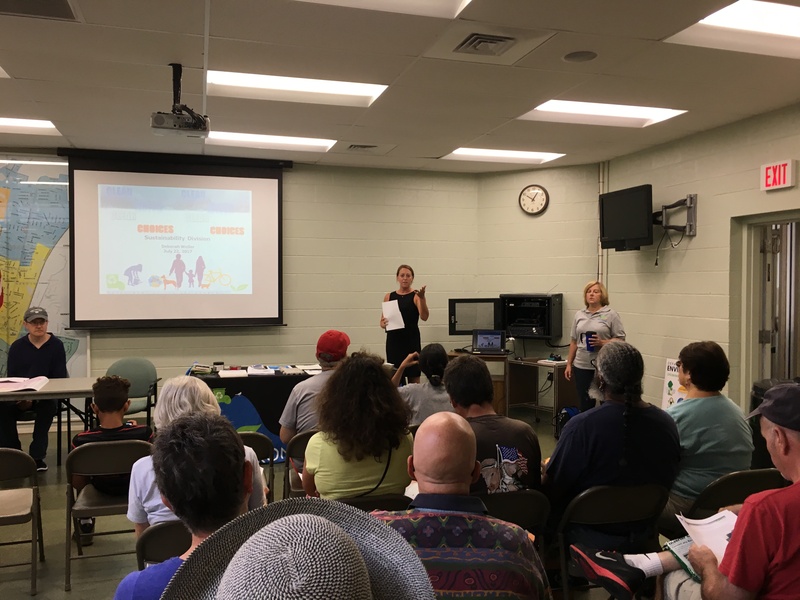 The event was attended by well over 50 people and a total of 67 rain barrels were purchased in connection to this program. Most, if not all, who purchased rain barrels said they intended to apply for the Rain Check Rebate Program – which provides reimbursement for installing approved stormwater management practices. “This is great! – I didn’t even know the Rain Check program existed before today, and it doesn’t seem all that hard to do.” Said one event-goer. The Partnership’s Sustainability Committee’s Co-Chair and District 4 City Councilmember, Dustyn Burkart Kujawa kicked off the event. Todd Larsen from the City of College Park’s Committee for a Better Environment gave a presentation on rain barrels and their benefits, and this was followed by a discussion on the health of the watershed and the benefits of sustainability programs by Matt Gallagher from the Anacostia Watershed Society. 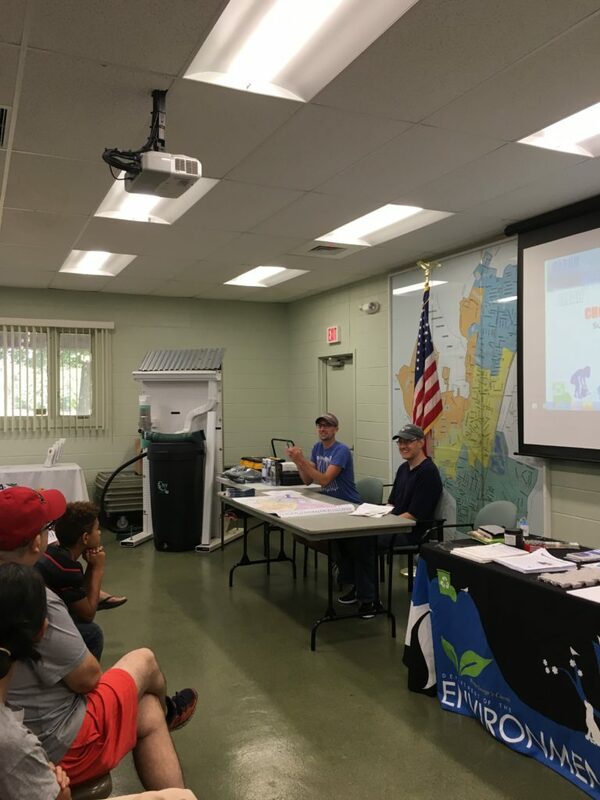 Debra Weller from the Prince George’s County Department of the Environment spoke about the Prince George’s County Rain Check Rebate program and Tim Haley from the Plumbers and Gasfitters UA Local 5 provided a demonstration on rain barrel installation. Based on a successful event and program, the College Park rain barrel sale will continue through September 1, 2017. Those who purchase a discounted 50-gallon rain barrel by September 1, 2017 can pick the rain barrel up on September 9, 2017. Please learn more about this opportunity HERE.